"We predict that the modified polyimide (MPI) will replace Liquid Crystal Polymer (LCP) and become the mainstream antenna technology of 2H19 new iPhone models," TF International Securities analyst Ming-Chi Kuo wrote in a research note to clients that has been seen by AppleInsider. Among the reported benefits of the shift to MPI technology are better "bargaining power" against LCP material suppliers for component sourcing, a more reliable production process, and improved ease of new flexible printed circuit board (FPCB) introductions due to the substrates being more robust, which will similarly improve yield rates. "In total, six LCP antennae are currently being equipped in 2H18 new iPhone models (XS Max, XS, and XR)," Ming said. "We predict that  new iPhone models, including the new 6.5" OLED, 5.8" OLED, and 6.1" LCD models, will adopt four MPI antennae and two LCP antennae." The analyst, who has long been respected for his insights into Apple's future product plans, added that he believes that the two LCP antennae on the 2019 iPhone models will be shipped exclusively by the Japanese supplier thanks to its better vertical integration capability. The material shift to MPI would also serve to widen Apple's supplier base from the present two, to a possible five, according to Kuo. 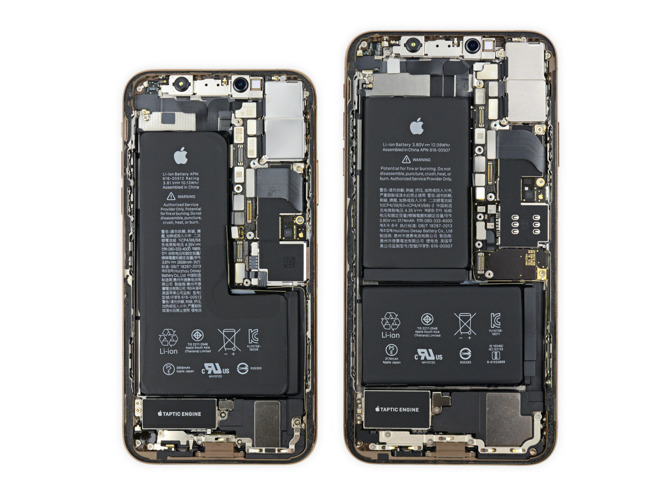 Apple has taken several moves over the last few years to broaden its supplier base for components to not just give it more leverage in pricing negotiations, but to also ensure that supplies of a crucial component can't be disrupted if any given supplier has production problems. Antenna materials and design are complex, made more challenging by the still fluctuating demands of a nascent 5G installation in the United States. Kuo notes that MPI and LCP antennae will still be utilized, with lower-end phones continuing with conventional polyimide antenna technology or possibly moving to a variant of the MPI material during the transition to 5G. Liquid Crystal Polymer (LCP) is a low-cost organic flexible substrate and has a few unique electrical properties that make it desirable for antennae. It behaves consistently across the entire radio frequency range, it has very low loss, making it useful for mmWave (5G applications) and it has a low thermal expansion coefficient, making it stable across temperatures. These design qualities make it suitable for a broad range of applications, from RFID tags to phones. Compared to legacy materials like polyimide, LCP offers a number of operational advantages including superior frequency attenuation, thermal performance and moisture resistance. The substrate's assets tick off the right boxes for Apple, which year after year pumps out a set of increasingly complex portable products that rely heavily on fast, capable data lanes. LCP can be used in other aspects of design as well, and may be adopted for the USB 3.2 spec, or iterations of Thunderbolt technology.